Take your promotion to-go with this speedy tumbler – 24HR! Your logo will leap from this clear double wall AS plastic tumbler. 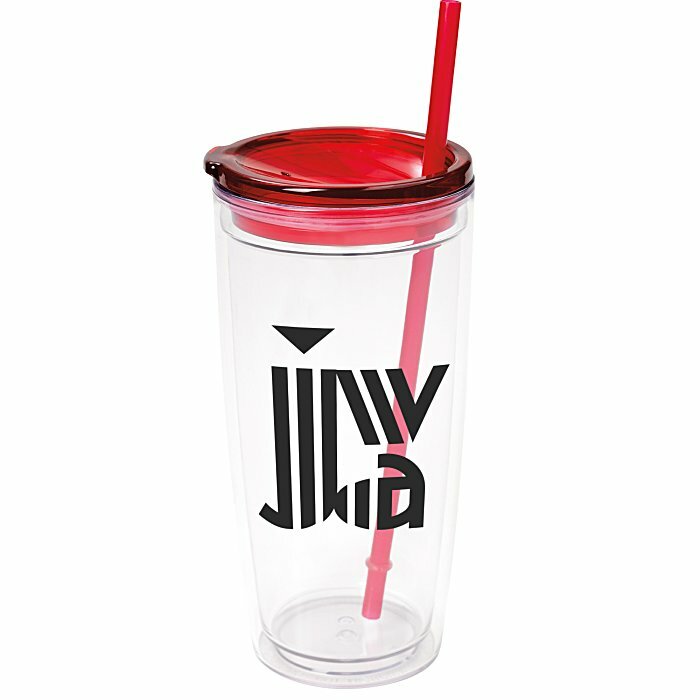 A matching push-on AS plastic lid and PP plastic straw add a spritz of color to this cool cup. 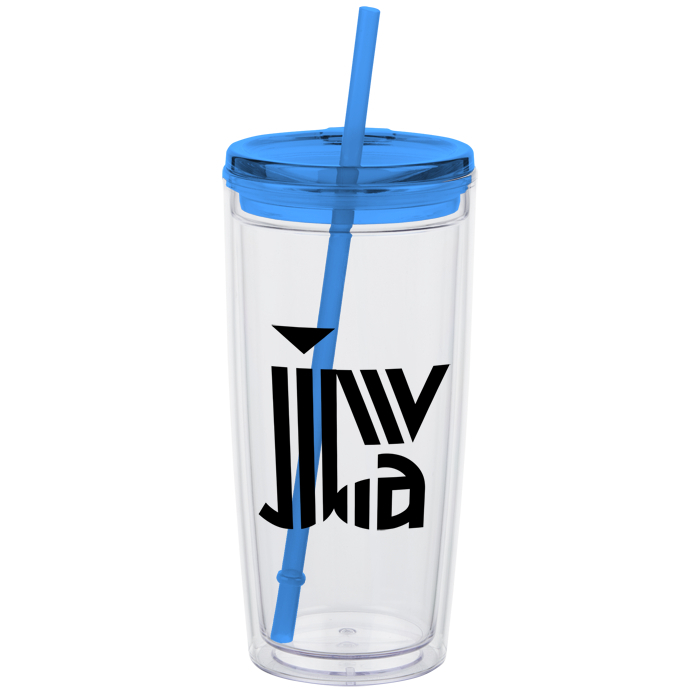 Enjoy your favorite refreshing beverage while building up your company name. Your price includes a one-color imprint on one side.